And fill them with gifts for loved ones to share. God gave us His Son who gave us His life? A sacrifice so great… how can we repay? We can say, “Thank you Jesus” on His birthday. 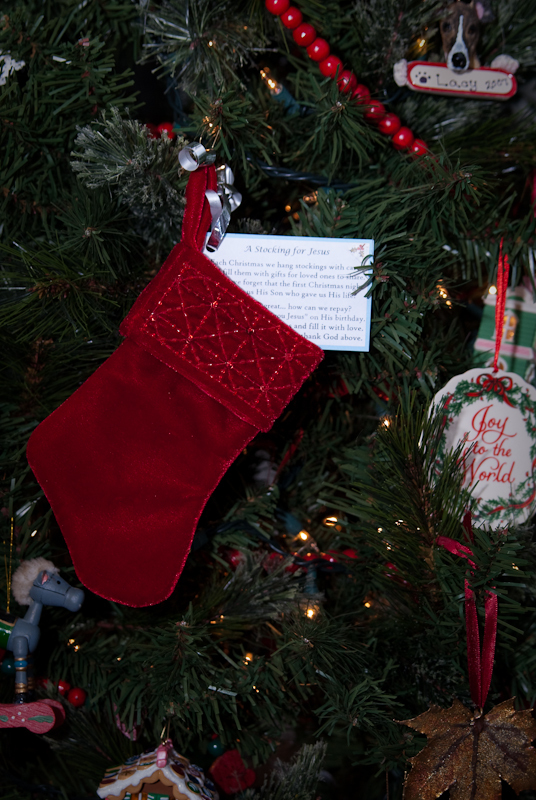 Hang a stocking for Jesus and fill it with love. Do good deeds for others to thank God above.